W wyniku prac archeologicznych kościół koptyjski w Egipcie w końcu lat 90tych ubiegłego wieku postanowił zbudować nowy klasztor o wielkości tego z czasów późnoantycznych, co jest nadal w realizacji. Rozległe stanowisko monastyczne w południowo-wschodniej części oazy Fajum u stóp wzgórz nakluńskich i w dolinkach pomiędzy pagórkami /Fig. 1, 2/. Klasztor w zróżnicowanych formach organizacyjnych funkcjonuje od połowy V wieku do chwili obecnej. Obejmuje 90 eremów wykutych w skałach oraz zabudowę późnoantyczną i średniowieczna, a także nowożytną i współczesną. Na stanowisku są ulokowane dwa cmentarze chrześcijańskie: późnoantyczny z V–VII wieku (C) oraz średniowieczny od końca XI wieku do przełomu XII i XIII wieku (A). W eremach i w ruinach zabudowy średniowiecznej odsłonięto liczne (ok. 1000) teksty zapisane na papirusach, pergaminie i papierze w języku greckim, koptyjskim i arabskim, jeden tekst po łacinie (Liviusz) a także liczne obiekty związane z życiem codziennym mnichów i osób im towarzyszących. Z cmentarzy pochodzą liczne tkaniny /Fig. 7, 9/, w tym dekoracyjne, lniane, wełniane i jedwabne produkowane w Egipcie oraz poza Egiptem, np. w Andaluzji, niektóre w warsztatach kalfów – z inskrypcjami (Tiraz), oraz dobrze zachowane naczynia szklane wykonane różnymi technikami /Fig. 8/. Licznie występującą ceramika na stanowisku jest pochodzenia lokalnego, ale również importowana z Afryki Północnej oraz Palestyny i wysp greckich. Biuletyn „Archeowieści PCMA” 24, (2010): Badania w klasztorze Neqloni z V–X wieku n.e. Danys, K. (2017). 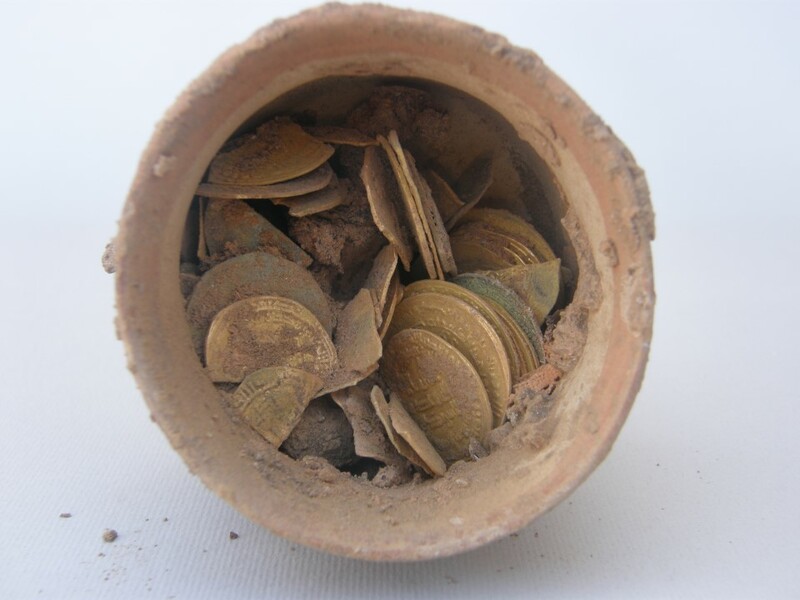 Pottery finds from Hermitage EE.50 in Naqlun: preliminary assessment of the assemblage. Polish Archaeology in the Mediterranean, 26/1, in press. Godlewski, W. (2017). 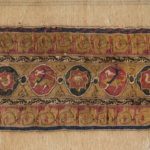 Naqlun 2016: Hermitage EE.50 preliminary report. Polish Archaeology in the Mediterranean, 26/1, in press. Ryś, A. (2017). Four encolpia from the monastery complex in Naqlun, Egypt: preliminary iconographic study. Polish Archaeology in the Mediterranean, 26/1, in press. Derda, T. and Wegner, J. (2016). Letter from Tebetny to the monks of Naqlun concerning fieldwork (P.Naqlun 39). In J.-L. Fournet and A. Papaconstantinou (eds), Mélanges Jean Gascou : textes et études papyrologiques (P.Gascou) (pp. 133–150). Paris: Association des Amis du Centre d’Histoire et Civilisation de Byzance. Derda, T. and Wegner, J. (2016). Πατέρες τοῦ ἁγίου Νεκλονίου. Functionaries of the Naqlun monastery in the first two centuries of its existence. In A. Łajtar, A. Obłuski, and I. Zych (eds), Aegyptus et Nubia christiana. The Włodzimierz Godlewski jubilee volume on the occasion of his 70th birthday (pp. 73–97). Warsaw: PCMA UW. Godlewski, W., Danys, K., and Maślak, S. (2016). Deir el-Naqlun 2014–2015. Preliminary report. Polish Archaeology in the Mediterranean, 25, 265–288. Górecki, T. (2016). 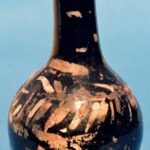 Phasing out LRA 7 amphorae in favor of new wine containers: Preliminary remarks based on finds from excavations in Naqlun. In A. Łajtar, A. Obłuski, and I. Zych (eds), Aegyptus et Nubia christiana. The Włodzimierz Godlewski jubilee volume on the occasion of his 70th birthday (pp. 113–137). Warsaw: PCMA UW. Maślak, S. (2016). The burning of a monastery? Story blazed on the walls of monastic buildings at Nekloni (Naqlun). In A. Łajtar, A. Obłuski, and I. Zych (eds), Aegyptus et Nubia christiana. The Włodzimierz Godlewski jubilee volume on the occasion of his 70th birthday (pp. 149–186). Warsaw: PCMA UW. Mossakowska-Gaubert, M. (2016). 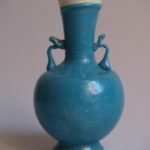 Verres décorés d’époque arabe médiévale (VIIIe–XIIIe siècles): quelques exemples provenant de Naqlun. In A. Łajtar, A. Obłuski, and I. Zych (eds), Aegyptus et Nubia christiana. The Włodzimierz Godlewski jubilee volume on the occasion of his 70th birthday (pp. 187–215). Warsaw: PCMA UW. Zych, I. (2016). 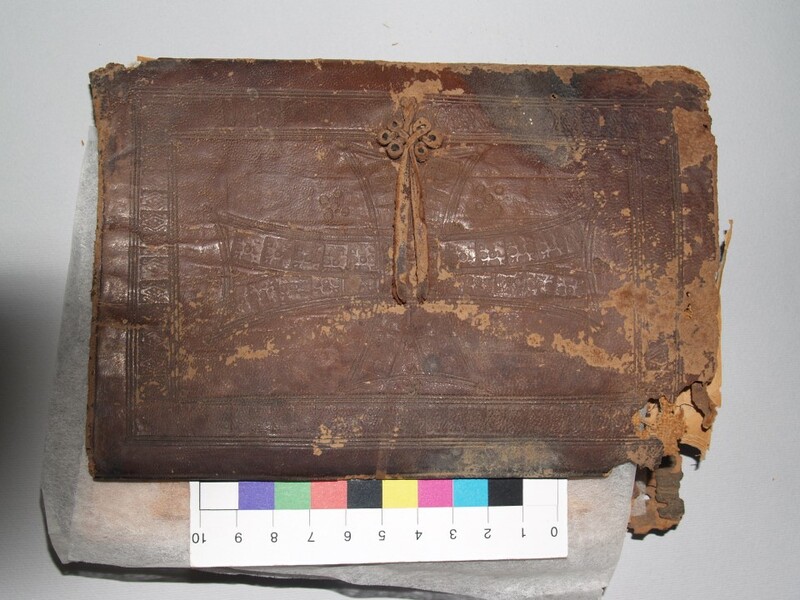 A monastic library at Nekloni? In A. Łajtar, A. Obłuski, and I. Zych (eds), Aegyptus et Nubia christiana. The Włodzimierz Godlewski jubilee volume on the occasion of his 70th birthday (pp. 307–312). Warsaw: PCMA UW. Godlewski, W. (2015). Naqlun – Das Kloster des Erzengels Gabriel. In C. Fluck, G. Helmecke, and E.R. O’Connell (eds), Ein Gott: Abrahams Erben am Nil. Juden, Christen und Muslime in Ägypten von der Antike bis zum Mittelalter (pp. 130–133). Berlin: Staatliche Museen zu Berlin, Preussischer Kulturbesitz. van der Vliet, J. (2015). Nekloni (al-Naqlūn) and the Coptic account book British Library Or. 13885. In A. Kaplony, D. Potthast, and C. Römer (eds), From Bawit to Marw: Documents from the medieval Muslim world (pp. 155–169). Leiden–Boston: Brill. Danys-Lasek, K. (2014). Pottery from Deir el-Naqlun (6th-12th century). Preliminary report from Polish excavations in 2010 and 2011. Polish Archaeology in the Mediterranean, 23/1, 543–642. Derda, T. and Wegner, J. (2014). New documentary papyri from the Polish excavations at Deir el-Naqlun (P. Naqlun 35-38). Journal of Juristic Papyrology, 44, 117–131. Dzierzbicka, D. with appendix by B. Czaja. (2014). Refuse dump in sector B in Naqlun: excavation report 2011. Polish Archaeology in the Mediterranean, 23/1, 192–203. Godlewski, W. with appendix by B. Czaja. (2014). Naqlun (Nekloni) excavations in 2010–2011. Polish Archaeology in the Mediterranean, 23/1, 173–211. Mossakowska-Gaubert, M. (2014). Les objects en verre provenant de tombes fatimides et ayyoubides à Naqlun (saison 2010-2011). 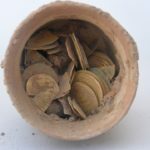 Polish Archaeology in the Mediterranean, 23/1, 204–210. Godlewski, W. (2013). Naqlun, Egypt. Excavations in 2012. Światowit, 10 (51) Fa, 193–201. Godlewski, W. and Derda, T. (2013). Naqlun. 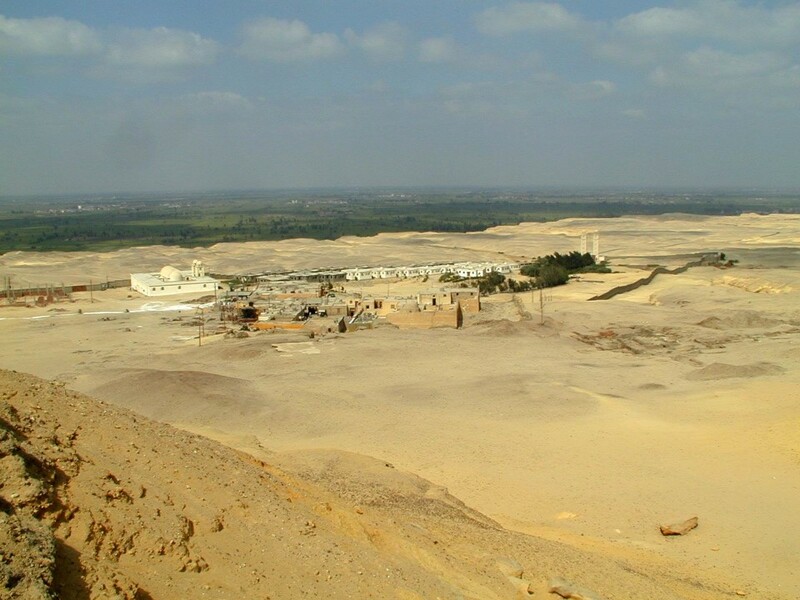 In Voices from the Nile Valley: Polish archaeology between Alexandria and Dongola. Warsaw: Warsaw University Press. Danys-Lasek, K. (2012). Pottery from the refuge dump under unit B.26 in Naqlun. Polish Archaeology in the Mediterranean, 21, 222–232. Derda, T. and Dzierzbicka, D. (2012).Refuse dump in sector B in Naqlun: excavation report 2008-2009. Polish Archaeology in the Mediterranean, 21, 212–221. Dzierzbicka, D. and Ożarek, M. (2012). Two Burias from cemetery A in Naqlun: archaeological and anthropological remarks. Polish Archaeology in the Mediterranean, 21, 233–243. Godlewski, W. (2012). Naqlun cemetries. In G.A. Belova and S.V Ivanov (eds), Achievements and problems of modern Egyptology: Proceedings of the international conference held in Moscow on September 29 – October 2, 2009 (pp. 139–152). Moscow: Russian Academy of Sciences. Godlewski, W. (2012). 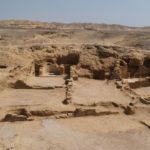 Naqlun: The earliest hermitages. In R.S. Bagnall, P. Davoli, and C.A. 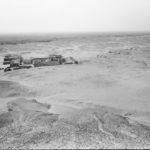 Hope (eds), The Oasis papers 6: Proceedings of the Sixth International Conference of the Dakhleh Oasis Project (pp. 475–489). Oxford: Oxbow Books. Godlewski, W. with appendix by J. Zieliński. (2012). Naqlun (Nekloni) excavations in 2008-2009 with appendix: Naqlun 2008: archaeobotanical studies. Polish Archaeology in the Mediterranean, 21, 193–211. Maślak, S. (2012). Buildings on Site B at Naqlun (Nekloni). Polish Archaeology in the Mediterranean, 21, 653–676. Zieliński, J. and Zych, I. (2012). On the collection of wooden finds from Naqlun again. Polish Archaeology in the Mediterranean, 21, 244–250. Czaja-Szewczak, B. (2011). 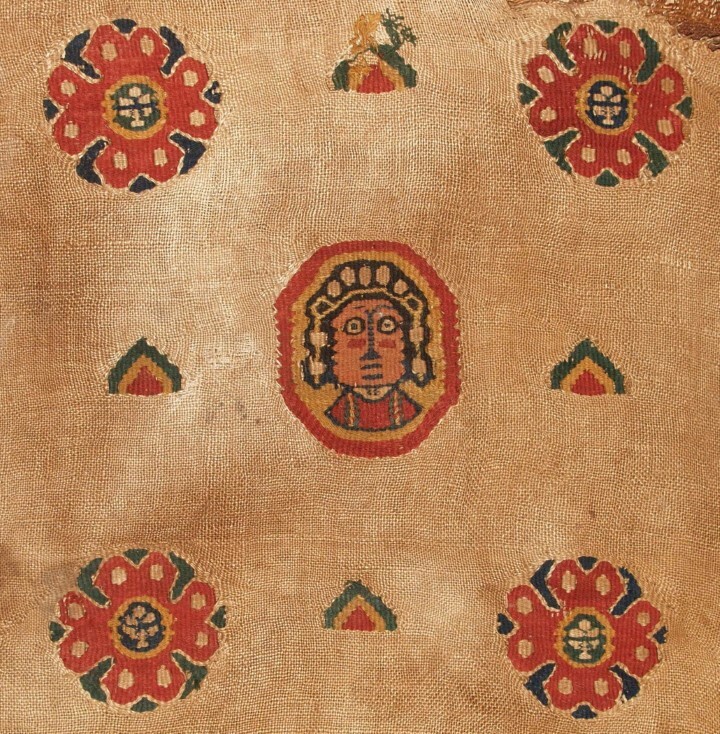 Funerary textiles from the medieval cemetery of Naqlun. Polish Archaeology in the Mediterranean, 20, 413–420. Godlewski, W. (2011). In the shade of the Nekloni monastery (Deir Malak Gubrail, Fayum). Polish Archaeology in the Mediterranean, 20, 467–482. Godlewski, W. (2011).The monastery of Nekloni, excavations in 2011. PCMA Newsletter. Retrieved from http://www.pcma.uw.edu.pl/pl/newsletter-pcma/2011/late-roman-byzantine-and-medieval/naqlun-egypt/. Łyżwa-Piber, A. (2011). Mats and baskets from Cemetery A at Naqlun in Fayum Oasis. Polish Archaeology in the Mediterranean, 20, 509–523. Piasecki, K. (2011). Cemetery A in Naqlun: anthropological structure of the burials. Polish Archaeology in the Mediterranean, 20, 549–559. Czaja-Szewczak, B. (2010). Conservation of a Fatimid shawl from the Naqlun cemetery. Polish Archaeology in the Mediterranean, 19, 248–250. Godlewski, W. (2010). Naqlun 2007: Preliminary report. Polish Archaeology in the Mediterranean, 19, 229–244. Godlewski, W. (2010). Skarb mnichów z Naqlun (The treasure of the monks from Naqlun). Archeologia Żywa, 15(2), 20–22. Lichocka, B. (2010). Naqlun 2007: Numismatic note. Polish Archaeology in the Mediterranean, 19, 245–247. Dzierzbicka, D. (2008). Footwear from Cemetery C at Naqlun. Preliminary report. Polish Archaeology in the Mediterranean, 18, 261–267. Godlewski, W. (2008). Naqlun (Nekloni). The hermitages, cemetery and the keep in the early 6th century. In S.L. Lippert and M. Schentuleit (eds), Graeco-Roman Fayum: Texts and archaeology. Proceedings of the third International Fayum Symposion, Freudenstadt, May 29-June 1, 2007 (pp. 101–112). Wiesbaden: Harrassowitz. Godlewski, W. (2008). Naqlun (Nekloni): Preliminary report, 2006. Polish Archaeology in the Mediterranean, 18, 195–206. Godlewski, W. (2008). Naqlun. Monastery never to be forgotten. In H. Froschauer and C. Römer (eds), Spätantike Bibliotheken: Leben und Lesen in den frühen Klöstern Ägyptens (pp. 71–79). Vienna: Phoibos-Verlag. Godlewski, W. and Czaja-Szewczak, B. (2008). Cemetery C.1 in Naqlun: Tomb C.T.5 and its cartonnages. Polish Archaeology in the Mediterranean, 18, 247–260. Maślak, S. (2008). Hermitage 85 in Naqlun: materials and construction. Polish Archaeology in the Mediterranean, 18, 207–212. Mossakowska-Gaubert, M. (2008). La verrerie de l’ermitage 85 à Naqlun. Report préliminaire. Polish Archaeology in the Mediterranean, 18, 213–219. Zych, I. (2008). 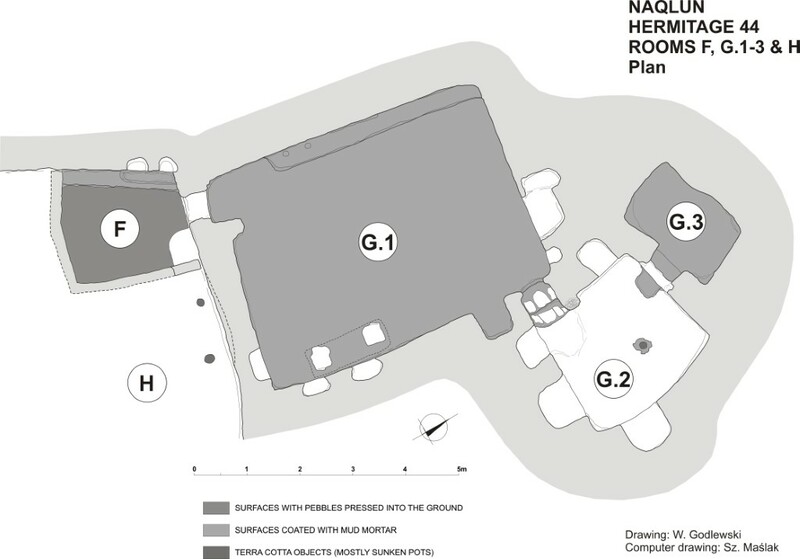 Cemetery C in Naqlun: Preliminary report on the excavation in 2006. Polish Archaeology in the Mediterranean, 18, 230–246. Żurek, M. (2008). Naqlun 2006: Pottery from Hermitage 85. Polish Archaeology in the Mediterranean, 18, 220–229. Derda, T. (2007). Byzantine letter from Deir el-Naqlun. In A.J.B. Sirks and K.A. Worp (eds), Papyri in memory of P.J. Sijpesteijn (P. Sijp.) (pp. 381–385). Oakville, CT: The American Society of Papyrologists. Dziedzic-Dzierzbicka, D. (2007). Jewelry from Cemetery A at Naqlun. Polish Archaeology in the Mediterranean, 17, 225–233. Godlewski, W. (2007). Naqlun. In E. Laskowska-Kusztal (ed. ), Seventy years of Polish archaeology in Egypt (pp. 171–182). Warsaw: PCMA UW. Godlewski, W. (2007). Naqlun. Catalogue nos 79–93. In A. Majewska (ed. ), Seventy years of Polish archaeology in Egypt: Egyptian Museum in Cairo, 21 October – 21 November 2007 (pp. 183–203). Warsaw: PCMA UW. Godlewski, W. (2007). Naqlun (Nekloni): Preliminary report 2005. Polish Archaeology in the Mediterranean, 17, 197–205. Maślak, S. (2007). Building G in Naqlun: material, construction, furnishing. Preliminary report 2005. Polish Archaeology in the Mediterranean, 17, 206–218. Żurek, M. (2007). Naqlun 2005:Pottery deposit from Room G.8A. Preliminary report 2005. Polish Archaeology in the Mediterranean, 17, 219–224. Godlewski, W. (2006). 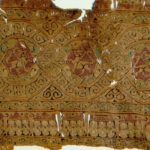 Al-Naqlun: Links between archaeology and textiles. In S. Schrenk (ed. 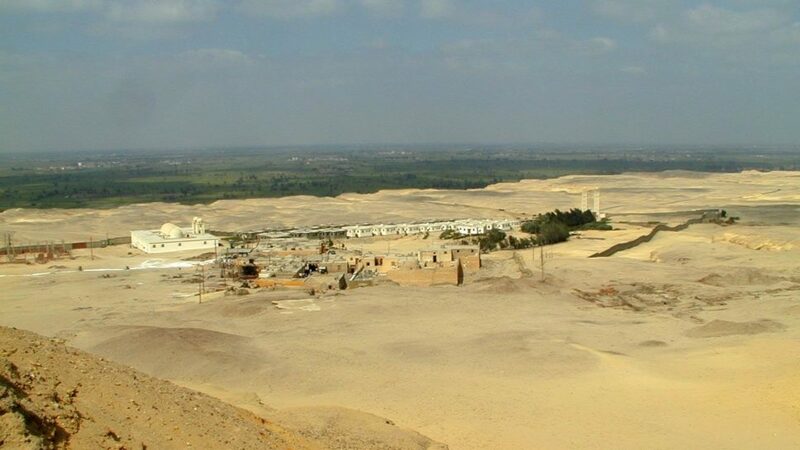 ), Textiles in situ: Their find spots in Egypt and neighbouring countries in the first millennium CE (pp. 33–42). Riggisberg: Abegg-Stiftung. Godlewski, W. and Łajtar, A. (2006). Grave stelae from Deir el-Naqlun. Journal of Juristic Papyrology, 36, 43–62. Czaja-Szewczyk, B. (2005). 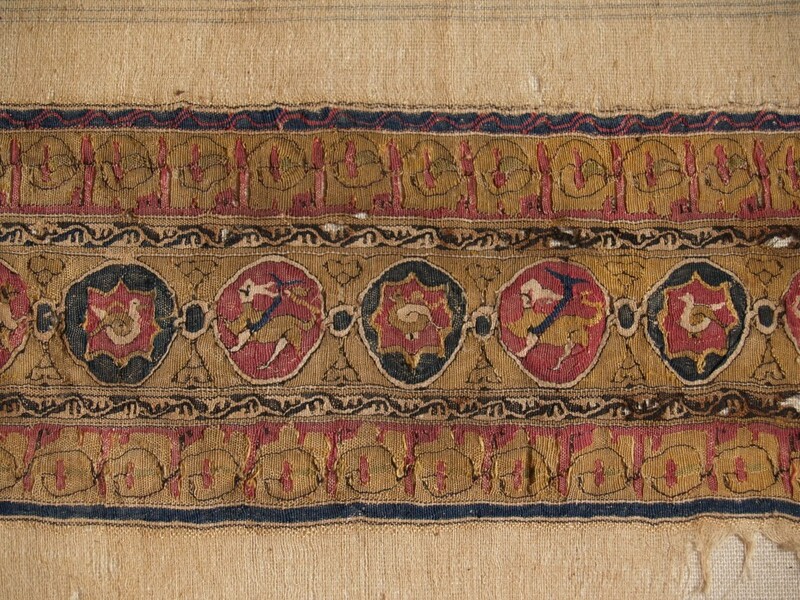 Textiles from Naqlun, 2004. Polish Archaeology in the Mediterranean, 16, 203–210. Godlewski, W. (2005). Excavating the ancient monastery at Naqlun. In G. Gabra (ed. ), Christianity and monasticism in the Fayoum oasis: Essays from the 2004 international symposium of the Saint Mark Foundation and the Saint Shenouda the Archimandrite Coptic Society in honor of Martin Krause (pp. 155–171). Cairo: American University in Cairo Press. Godlewski, W. (2005). Naqlun (Nekloni): season 2004. Polish Archaeology in the Mediterranean, 16, 181–190. Godlewski, W. (2005). The medieval Coptic cemetery at Naqlun. In G. Gabra (ed. ), Christianity and monasticism in the Fayoum oasis: Essays from the 2004 international symposium of the Saint Mark Foundation and the Saint Shenouda the Archimandrite Coptic Society in honor of Martin Krause (pp. 173–183). Cairo: American University in Cairo Press. Helmecke, G. (2005). 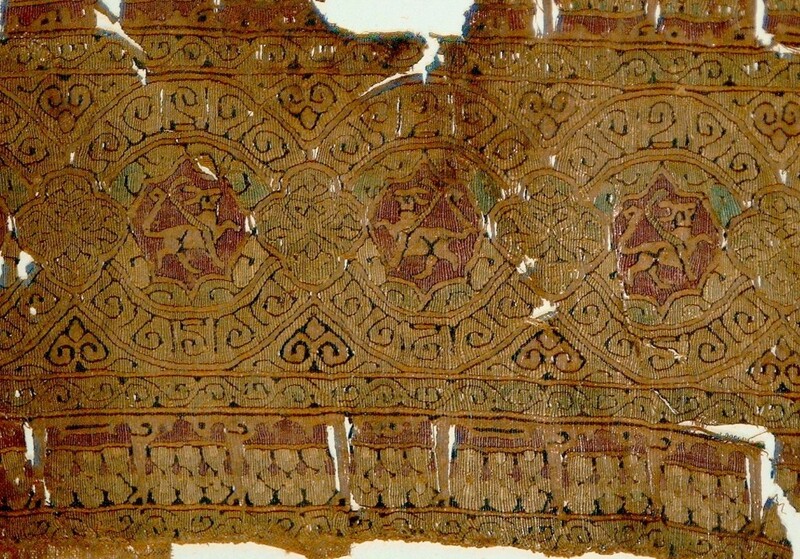 Textiles with Arabic inscriptions excavated in Naqlun, 1999–2003. Polish Archaeology in the Mediterranean, 16, 195–202. Parandowska, E. (2005). Preservation of the wall paintings in the Church of the Archangel Gabriel at Naqlun. In G. Gabra (ed. ), Christianity and monasticism in the Fayoum oasis: Essays from the 2004 international symposium of the Saint Mark Foundation and the Saint Shenouda the Archimandrite Coptic Society in honor of Martin Krause (pp. 279–287). Cairo: American University in Cairo Press. Van der Vliet, J. (2005). Preliminary observations on the Coptic texts fund during seasons 2003 and 2004. Polish Archaeology in the Mediterranean, 16, 191–194. Zych, I. (2005). Wooden coffins from cemetery in Naqlun. Polish Archaeology in the Mediterranean, 16, 211–221. Czaja-Szewczyk, B. (2004). Naqlun 2003: from scraps to tunic. Polish Archaeology in the Mediterranean, 15, 159–164. Godlewski, W. (2004). Naqlun (Nekloni): season 2003. Polish Archaeology in the Mediterranean, 15, 141–151. Maślak, S. (2004). Bricks and brick bonding in the monastic architecture on Kom A in Naqlun. Polish Archaeology in the Mediterranean, 15, 152–158. Mossakowska-Gaubert, M. (2004). La verrerie utilisée par les anachorètes: l’ermitage no. 44 à Naqlun (Fayyoum). In M. Immerzeel and J. van der Vliet (eds), Coptic studies on the threshold of a new millennium: Proceedings of the Seventh International Congress of Coptic Studies, Leiden, August 27-September 2, 2000, II (pp. 1443–1470). Leuven: Peeters. Żurek, M. (2004). Two pottery deposits from building AA in Naqlun. Polish Archaeology in the Mediterranean, 15, 165–172. Calaforra-Rzepka, C. (2003). 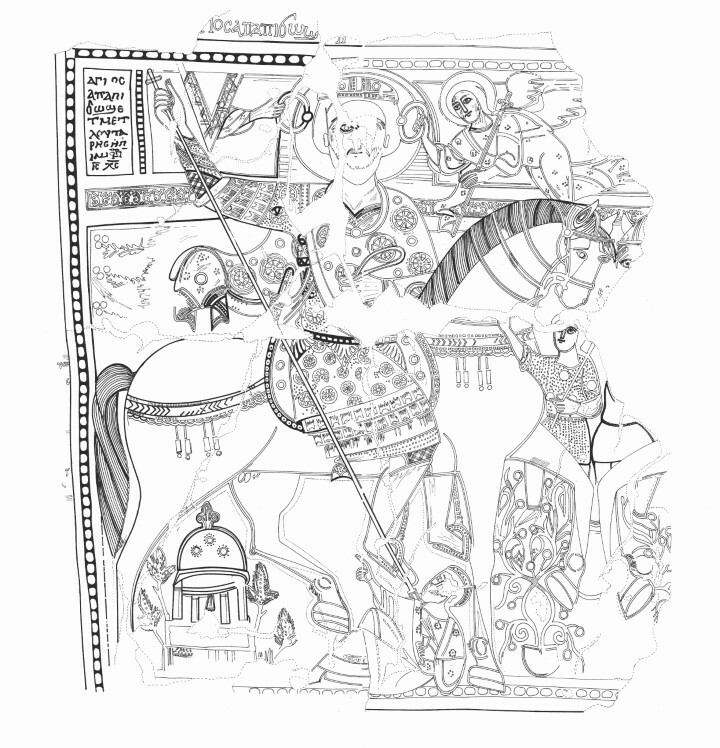 Wall-painting transfer and conservation at Naqlun, part 2. Polish Archaeology in the Mediterranean, 14, 185–187. Czaja-Szewczyk, B. (2003). Burial tunics from Naqlun, part 2. Polish Archaeology in the Mediterranean, 14, 177–184. Godlewski, W. (2003). Naqlun: Excavations, 2002. Polish Archaeology in the Mediterranean, 14, 163–171. Łyżwa-Piber, A. (2003). Mats from cemetery at Naqlun. Polish Archaeology in the Mediterranean, 14, 188–195. Mossakowska-Gaubert, M. (2003). 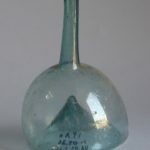 Les objets en verre trouvés dans les tombeaux des époques fatimide et ayyoubide (Deir el Naqlun – Égypte). In Annales du 15e congrès de l’Association internationale pour l’histoire du verre: New York-Corning 2001 (pp. 185–189). Nottingham: Association internationale pour l’histoire du verre. Van der Vliet, J. (2003). The Naqlun John: A preliminary report. Polish Archaeology in the Mediterranean, 14, 172–176. Calaforra-Rzepka, C. (2002). Naqlun 2001: Wall-painting transfer and conservation. Polish Archaeology in the Mediterranean, 13, 171–177. Czaja-Szewczak, B. (2002). Naqlun: Textiles conservation, 2001. Polish Archaeology in the Mediterranean, 13, 178–184. Godlewski, W. (2002). Les textiles issus des fouilles récentes de Naqlun. In M. Durand and F. Saragoza (eds), Egypte, la trame de l’histoire: textiles pharaoniques, coptes et islamiques (p. 100–104). Paris: Somogy. Godlewski, W. (2002). Naqlun: Excavations, 2001. Polish Archaeology in the Mediterranean, 13, 159–170. Łyżwa, A. (2002). 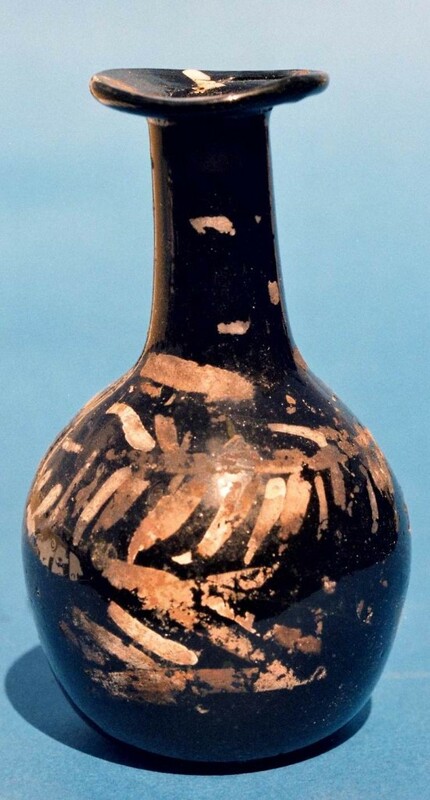 Naqlun 2001: Glazed pottery. Polish Archaeology in the Mediterranean, 13, 185–189. Godlewski, W. (2001). Naqlun: Excavations, 2000. Polish Archaeology in the Mediterranean, 12, 149–161. Godlewski, W. (2001). The monastery Nekloni in the Egyptian Fayoum. In S. McNally (ed. ), Shaping community. The art and archaeology of monasticism (pp. 39–40). Oxford: Archaeopress. Górecki, T. (2001). Naqlun: The pottery. Polish Archaeology in the Mediterranean, 12, 162–167. Mossakowska-Gaubert., M. (2001). Remarques préliminaires (saison 2000). 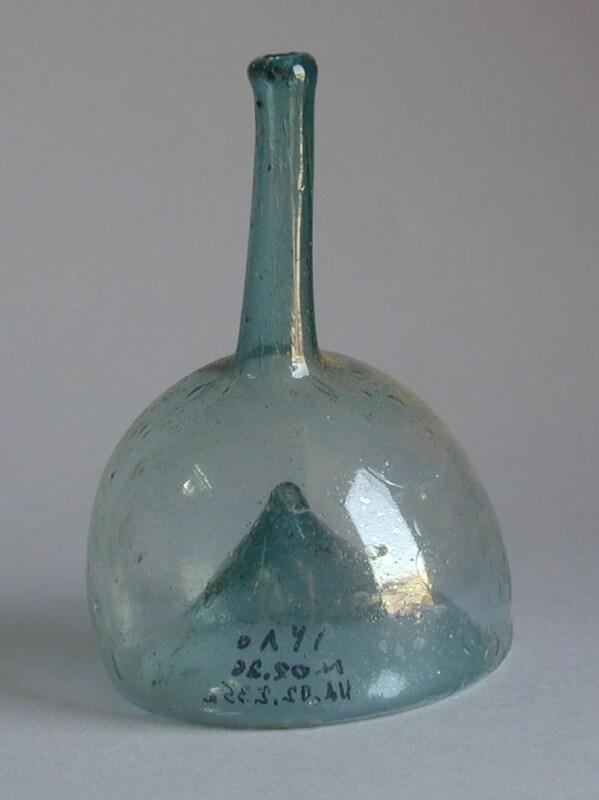 Récipients en verre. Provenant des tombeau datés du XIe au XIIIe siécle. Polish Archaeology in the Mediterranean, 12, 168–172. Piasecki, K. (2001). The skulls from Naqlun. Polish Archaeology in the Mediterranean, 12, 173–180. Czaja-Szewczak, B. (2000). Textiles from Naqlun, 1999. Polish Archaeology in the Mediterranean, 11, 135–142. Godlewski, W. (2000). Les peintures de l’église de l’Archange Gabriel à Naqlun. Bulletin de La Société d’Archéologie Copte, 39, 89–101. Godlewski, W. (2000). Naqlun. Excavations, 1999. Polish Archaeology in the Mediterranean, 11, 125–132. Godlewski, W. (2000). Naqlun. The hermitage of Phibamo. In K.M. Ciałowicz and J.A. Ostrowski (eds), Les civilisations du bassin Méditerranéen: hommages à Joachim Śliwa (pp. 91–98). 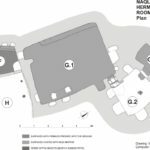 Cracow: Instytut Archeologii Uniwersytetu Jagiellońskiego. Godlewski, W. and Czaja-Szewczak, B. (2000). Naqlun: Recent studies. Bulletin de la Société d’Archéologie Copte, 39, 69–87. Mossakowska-Gaubert, M. (2000). 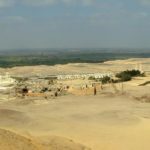 Question d’éclairage : l’ermitage n° 44 à Naqlun (Fayyoum). Annales Islamologiques, 34, 335–357. Van der Vliet, J. (2000). Preliminary remarks on the Coptic texts from seasons 1998 and 1999. Polish Archaeology in the Mediterranean, 11, 143–144. Żurek, M. (2000). Modern cemetery on site A/E at Deir An-Naqlun. Polish Archaeology in the Mediterranean, 11, 133–134. Godlewski, W. (1999). Naqlun 1993–1996. In S. Emmel, M. Krause, S.G. Richter, and S. Schaten (eds), Ägypten und Nubien in spätantiker und christlicher Zeit: Akten des 6. Internationalen Koptologenkongresses, Münster, 20.–26. Juli 1996, I. Materielle Kultur, Kunst und religiöses Leben (pp. 157–162). Wiesbaden: Reichert. Godlewski, W. (1999). Naqlun. Excavations, 1998. Polish Archaeology in the Mediterranean, 10, 113–117. Urbaniak-Walczak, K. (1999). 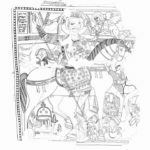 Deir el-Naqlun: die koptischen Texte aus der Ermitage Nr. 25. Journal of Juristic Papyrology, 29, 93–136. Gaubert, C. (1998). 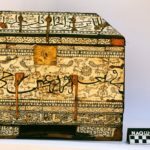 Remarques préliminaires sur les archives d’époque Fatimie d’une famille copte. Polish Archaeology in the Mediterranean, 9, 87–89. Godlewski, W. (1998). Naqlun. Excavations 1997. Polish Archaeology in the Mediterranean, 9, 77–86. Godlewski, W. (1997). Deir el Naqlun. Topography and tentative history. 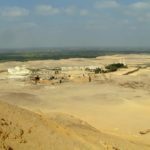 In Archeologia e papiri nel Fayyum: storia della ricerca, problemi e prospettive. Atti del Convegno internazionale, Siracusa, 24–25 maggio 1996 (pp. 123–145). Siracusa: Istituto internazionale del papiro. Godlewski, W. and Parandowska, E. (1997). Naqlun. Excavations 1996. Polish Archaeology in the Mediterranean, 8, 88–97. Urbaniak-Walczak, K. (1997). Naqlun. The literary texts from seasons 1993 and 1995. Polish Archaeology in the Mediterranean, 8, 98–102. Godlewski, W. (1996). Naqlun. Excavations 1995. Polish Archaeology in the Mediterranean, 7, 82–88. Derda, T. (1995). Deir el-Naqlun: The Greek papyri (P. Naqlun I). Warsaw: Wydawnictwa Uniwersytetu Warszawskiego. Derda, T. (1994). Polish excavations at Deir el-Naqlun 1986–1991: Interdependence of archaeology and papyrology. In A. Bülow-Jacobsen (ed. ), Proceedings of the 20th International Congress of Papyrologists, Copenhagen, 23–29 August, 1992 (pp. 124–130). Copenhagen: Museum Tusculanum Press. Godlewski, W., Derda, T., and Górecki, T. (1994). 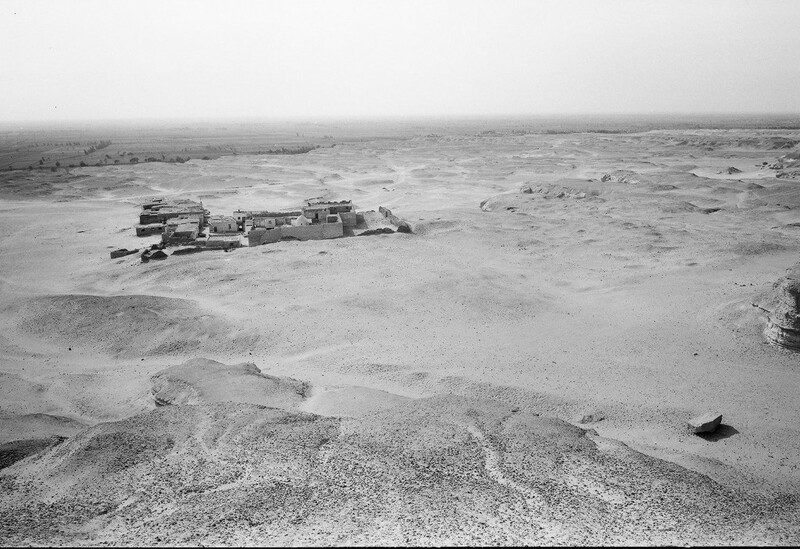 Deir el Naqlun (Nekloni), 1988–1989. Second preliminary report. Nubica, 3(1), 201–263. Godlewski, W. and Parandowska, E. (1994). Naqlun 1993. Polish Archaeology in the Mediterranean, 5, 55–62. Górecki, T. (1994). The pottery from Naqlun, 1993. Polish Archaeology in the Mediterranean, 5, 63–78. Łajtar, A. (1994). Two Greek inscriptions from Deir el-Naqlun. Nubica, 3(1), 265–274. Urbaniak-Walczak, K. (1994). 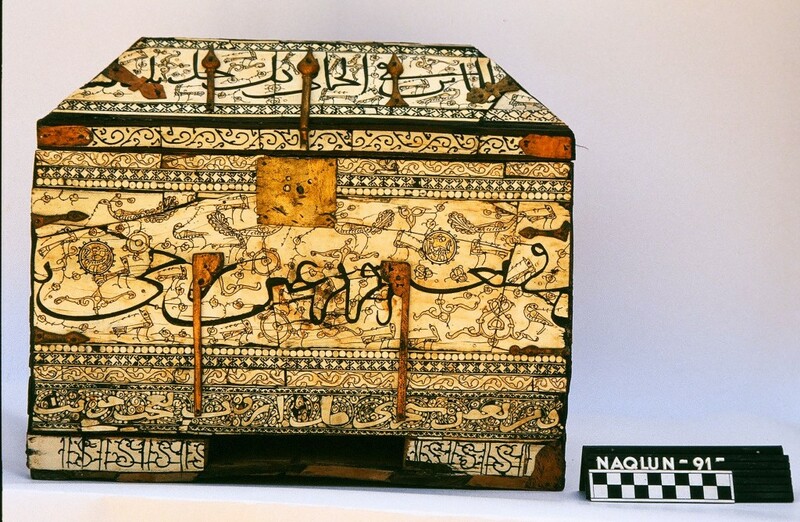 P Naqlun inv 12/89: ein Fragment eines Syl­la­bars aus Naqlun (Faijum). Journal of Juristic Papyrology, 24, 145–148. Derda, T. (1993). Deir El-Naqlun 1992: Greek papyri and inscriptions on vessels. Polish Archaeology in the Mediterranean, 4, 49–52. Godlewski, W. (1993). Deir El-Naqlun, 1992. Polish Archaeology in the Mediterranean, 4, 43–48. Godlewski, W. (1993). Naqlun 1989–1992. In D.W. Johnson (ed. ), Acts of the Fifth International Congress of Coptic Studies: Washington, 12–15 August 1992, II.1 (pp. 183–195). Rome: CIM. Górecki, T. (1993). Deir El-Naqlun 1992: the pottery. Polish Archaeology in the Mediterranean, 4, 53–64. Urbaniak-Walczak, K. (1993). Naqlun, koptische Texte (Grabungskampagne 1989). 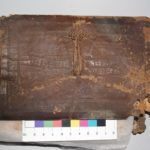 Journal of Juristic Papyrology, 23, 157–162. Dobrowolski, J. (1992). The monastic complex of Naqlun – topography of the site. In P.O. Scholz (ed. ), Orbis Aethiopicus: Studia in honorem Stanislaus Chojnacki natali septuagesimo quinto dicata, septuagesimo septimo oblata (pp. 309–325). Albstadt: K. Schuler. Godlewski, W. (1992). Archaeological Research in Naqlun in 1991. Polish Archaeology in the Mediterranean, 3, 49–56. Godlewski, W. (1992). Deir el-Naqlun. Quelques observations historiques. In M. Rassart-Debergh and J. Ries (eds), Actes du IVe congrès copte: Louvain-la-Neuve, 5–10 septembre 1988, I (pp. 177–186). Louvain-la-Neuve: Institut orientaliste. Ragheb, Y. (1992). L’Inventaire des documents exhumes à Naqlun, 1991. Polish Archaeology in the Mediterranean, 3, 57–58. Derda, T. (1991). El-Naqlun 1990: the Greek Papyri. Polish Archaeology in the Mediterranean, 2, 54–56. Godlewski, W. (1991). Deir El-Naqlun, 1990. Polish Archaeology in the Mediterranean, 2, 48–53. Dobrowolski, J. (1990). Naqlun – Deir al-Malak Ghubra’il: The existing monastic complex. Nubica, 1–2, 161–170. Godlewski, W. (1990). 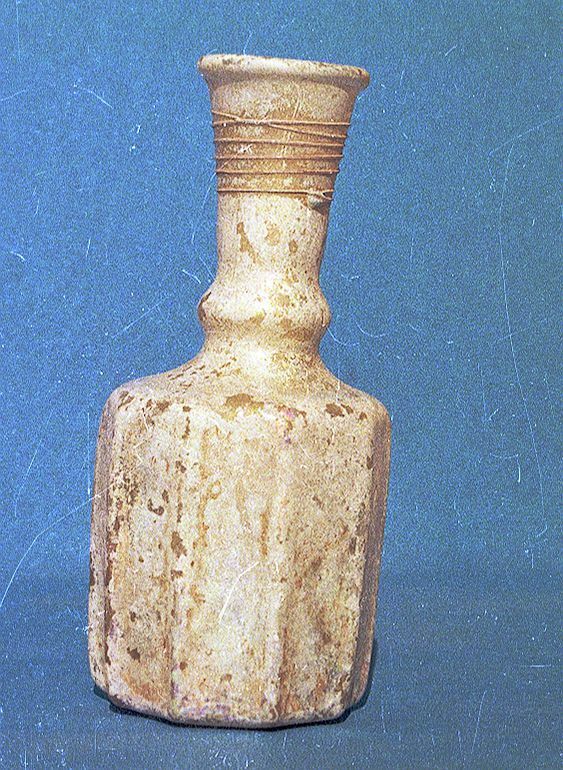 Coptic pottery from Deir el-Naqlun (Fayum). In W. Godlewski (ed. 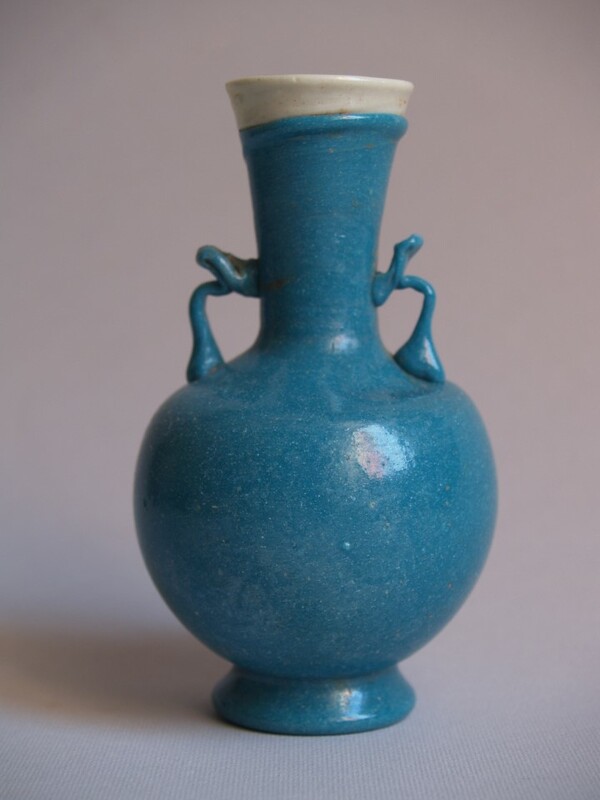 ), Coptic and Nubian pottery: International workshop, Nieborów August 29–31, 1988, I (pp. 49–62). Warsaw: National Museum in Warsaw. Godlewski, W. (1990). Polish excavations at Naqlun (1988–1989). 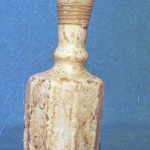 Polish Archaeology in the Mediterranean, 1, 29–34. Godlewski, W., Herbich, T., and Wipszycka, E. (1990). Deir el Naqlun (Nekloni) 1986–87: First preliminary report with Appendix from 1988 by Jarosław Dobrowolski. Nubica, 1–2, 171–207. Godlewski, W. (1989). 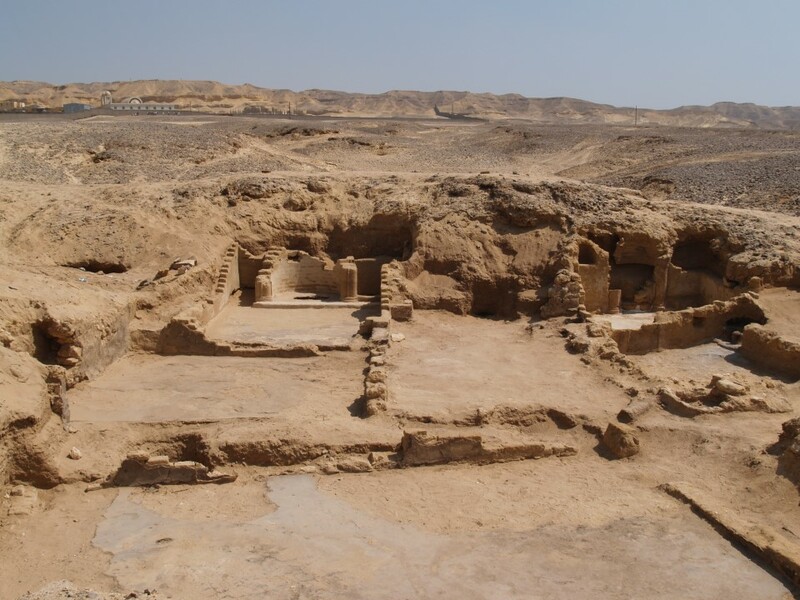 Badania wykopaliskowe w Deir el-Naqlun (Fajum): sezon drugi (Excavations at Deir el-Naqlun (Fayoum): second season). Rocznik Muzeum Narodowego w Warszawie, 33–34, 639–652. Godlewski, W. et al. (1989). Deir El Naqlun. Informator Archeologiczny: Badania, 23, 103..
Godlewski, W. (1988). Polskie odkrycia w Naqlun (Fajum) w 1986 roku (Polish discoveries in Naqlun (Fayoum) in 1986). Rocznik Muzeum Narodowego w Warszawie, 32, 489–499. Godlewski, W., Wipszycka-Bravo, E., Dobrowolski, J., Dobrowolska, B., Babraj, K., Herbich, T., Wyrzykowski, G. (1986). Deir El Naqlun. Fajum. Informator Archeologiczny: Badania, 20, 246–247.